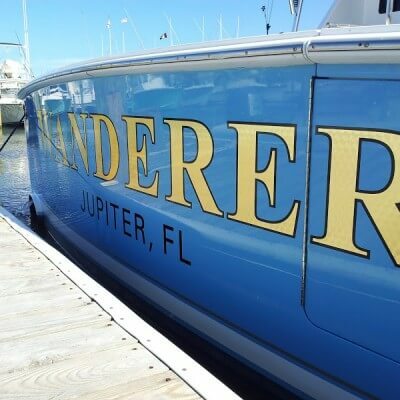 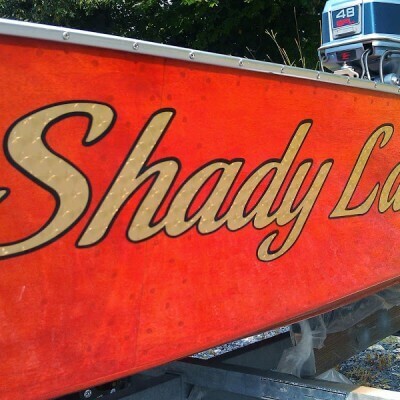 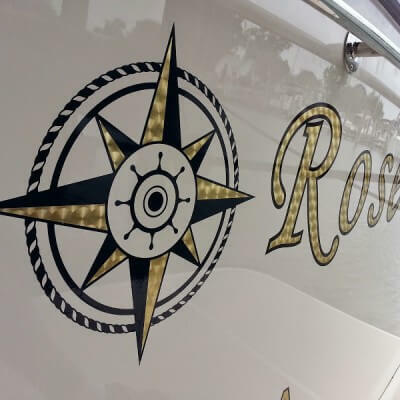 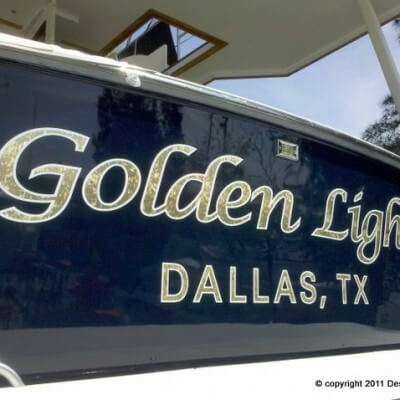 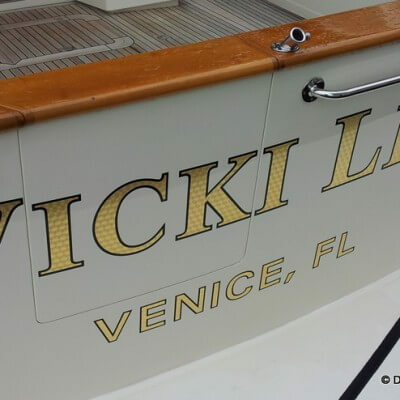 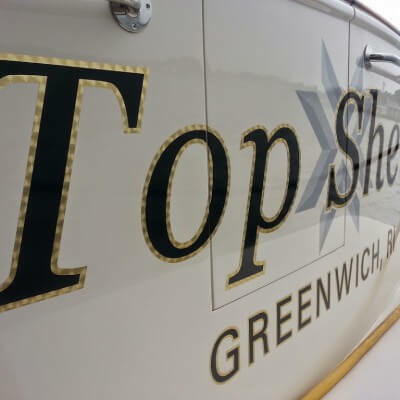 A beautiful custom Gold Leaf Sailboat Name made by hand. 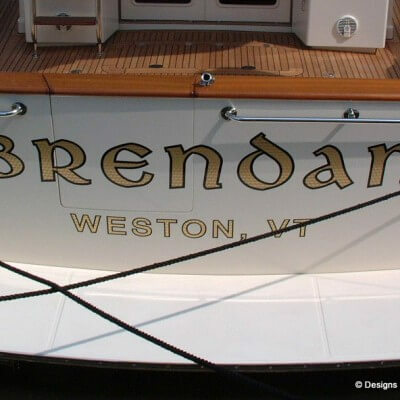 From start to finish we will work with you to select the appropriate font and get the layout just right. 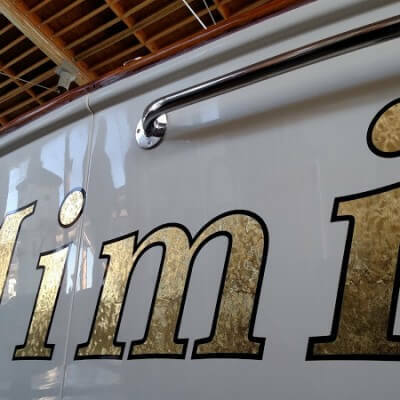 Gilding a transom requires a full day of our time to finish. 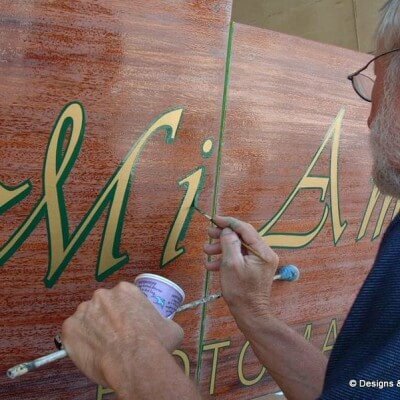 Care and attention to detail are needed when applying gold leaf by hand. 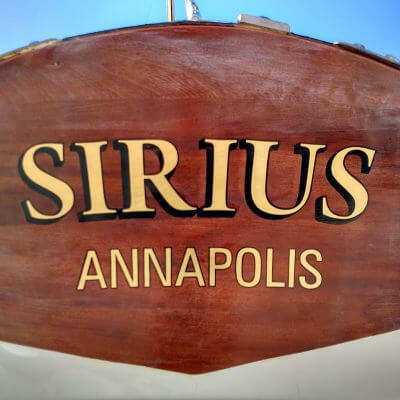 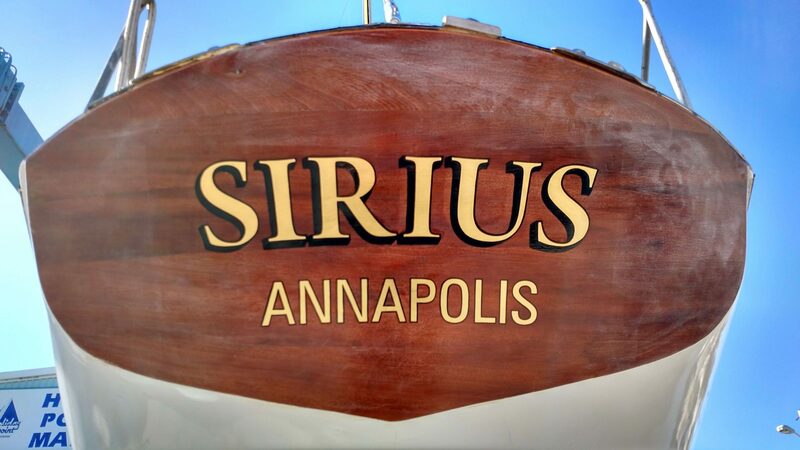 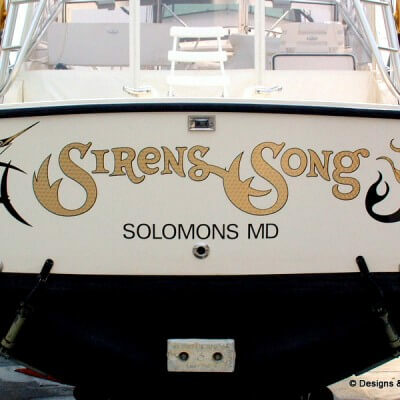 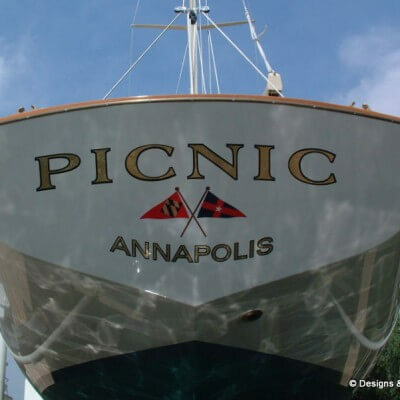 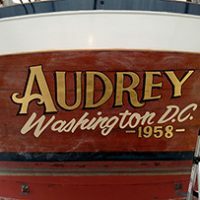 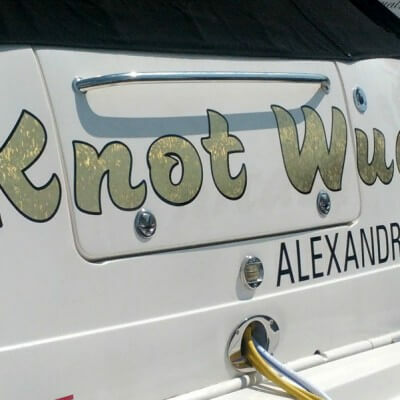 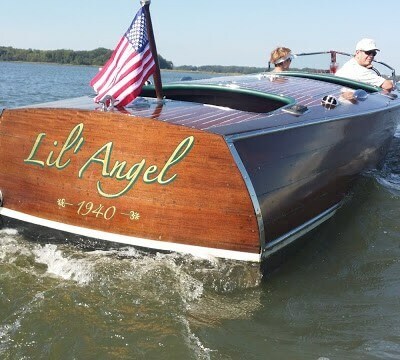 A gold leaf boat name for Sirius in Annapolis, MD. 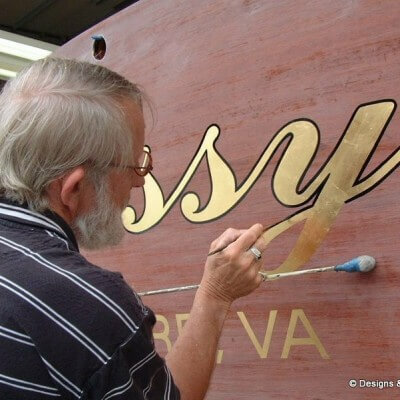 23 karat gold leaf applied by hand to a wooden transom. 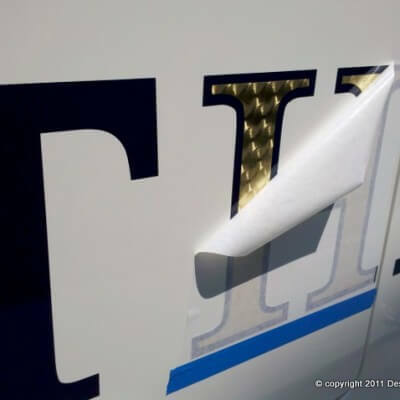 Outline and shadow also brushed by hand. 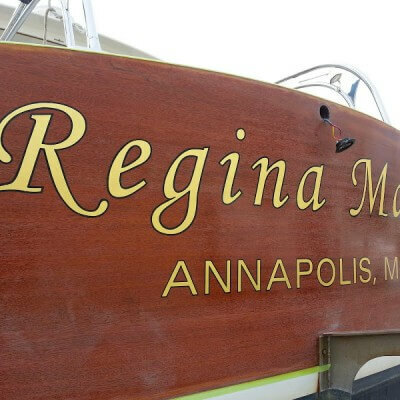 This photo was taken before the final coats of varnish were applied. 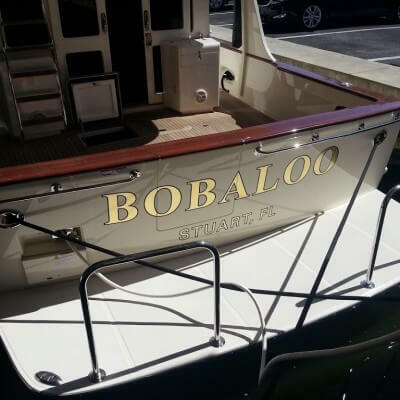 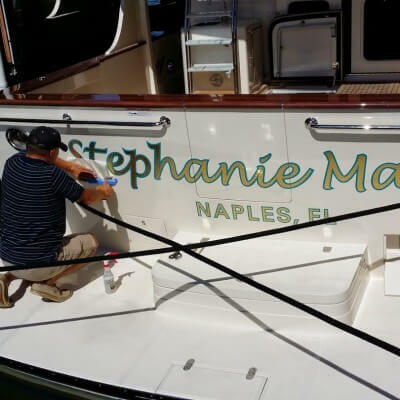 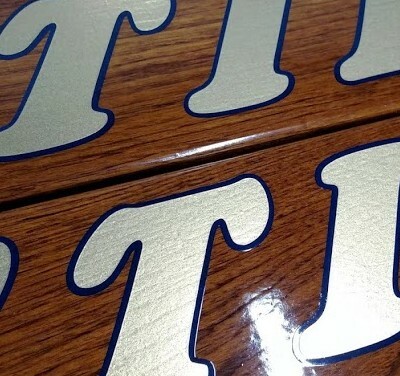 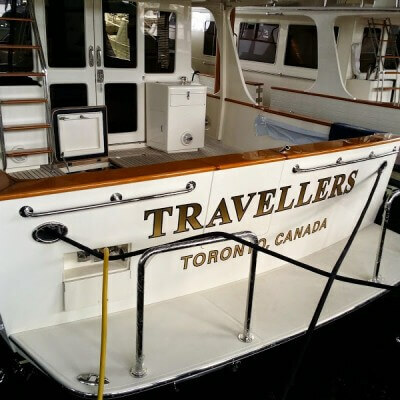 With regular upkeep of the varnish this custom gold leaf lettering will last a lifetime.